Still, I was hesitant. I was worried that if we were both under influence, we wouldn't be able to watch out for each other, and I insisted we at least get a ‘baby-sitter'. Seeing it would calm me down, she agreed, and went next door to ask my neighbor (who was also her friend) to come over. Her friend's name was Sylvie, and although she lived next door to me for several years, we hardly knew each other. There was no dislike, only a lack of personal interest between us. It seemed that whenever we were together, there wasn't much to talk about. But I didn't mind it was Sylvie, as long as somebody was present. Miki and I took the pills and then the three of us walked out to the swimming pool. Miki dived in the water at once, and Sylvie and I sat down by the side of the pool. I was impatiently waiting for something to happen, a sensation at least, but nothing was happening. Sylvie and I started talking politely, and somehow the subject got to mothers, and our relationship with them. I still wasn't feeling any special sensation, but ecstasy was working its way with me from inside out. I had gotten so carried away in telling Sylvie about my mom and me, that tears of true sadness started falling down my cheeks. The story I was telling was honest, impartial, and – very intimate, just as the tears I was shedding were alleviating and liberating because there was no anger, nor remorse in them. Realizing that these invaluable personal revelations were inspired by Sylvie, someone who until yesterday, was a stranger to me, I took another look at her and recognized the truly beautiful being she was. 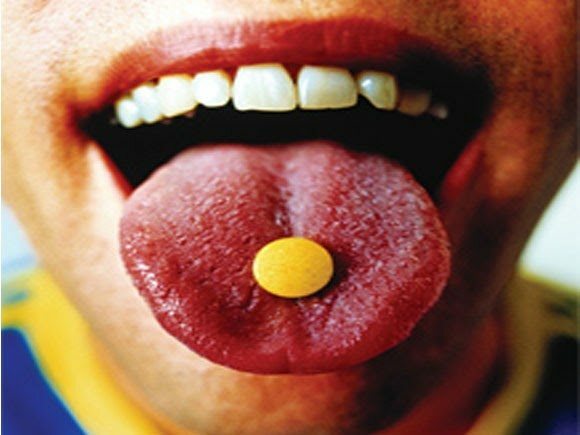 Then I understood… I was ‘on ecstasy'… Wow! The first lesson was that other people are what we make of them. By keeping our heart open to love, and our mind free of prejudice, we can always be pleasantly surprised with the world we live in. I spent almost the whole night sitting in the pool, merging with the universe. Free of all thoughts, just meditating on the purity of love that had absorbed my whole being. This was a completely new world to me; I had read about the altered states of mind, but not in my wildest dreams had I imagined it would be anything like this… What I was experiencing now was deeply religious, and I wasn't religious at all. My interest in the spiritual plane was immense, but whenever I was faced with ‘believers', my zeal would wane. Enthusiasm always alarms me and provokes my doubt. In the same way, when I was confronted with condescending minds that rule out any possibility of spiritual existence, I easily turned into a passionate believer. The inner struggle was very much about accepting my own spirituality. This was also obvious in my attitude towards clairvoyants, mediums, yoga-instructors, Reiki-masters, astrologists, and all the like who could be considered ‘spiritual teachers'. I seemed to expect too much of them, and inevitably, I'd get disappointed. Add to this my tendency to get into conflict with the authority figures, and you'll spot the problem easily. But here, under the summer sky, I was so captivated by the oneness I was feeling that it made everything seem so simple… A sense of enlightenment washed over me, and doubt disappeared, as I understood that there is no wrong way, only my way. Whatever attracts me, whatever I think is right, and whatever feels good to me, is a sign on its own. If I follow that sign it will lead me to the Teacher. After some time, Miki's face appeared above me. Smiling lovingly, she asked me if I wanted to go to the beach. I didn't. But what Miki asks, Miki gets. The moment I stood up, I started shivering; my whole body was freezing, and I quickly reached out for a towel, trying to warm up a bit. It was four o'clock in the morning, and I had spent five hours in the pool. Naturally, it had taken some time to warm up. Sylvie was long gone, but I didn't mind. The love and the peace I was feeling did not leave any room for fear or paranoia. Miki and I walked to the beach. 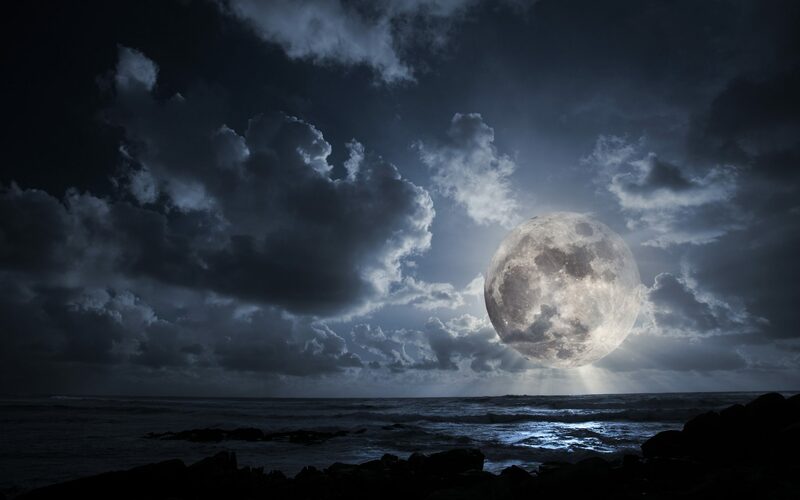 The moon was a huge reflector, lighting up a narrow path on the surface of the sea, leading from the beach to the horizon. Miki sat down, and I went on into the sea. The sea was shallow for several miles ahead, and so I kept walking in the moon's path. The water was clean and purifying and the air smelled of the sea. Feeling free, I started to dance to the rhythm of the waves. The moonlight was sheer love, and I was bathing in it. Just before dawning, I got out of the sea, and walked to where Miki was sitting. She was meditating, so I quietly sat down, and placed my hands on the sand. It felt soft and warm, and compelled me to play with it. I'd take it in my hands and hold it, letting it slowly slip through my fingers. It reminded me of so many things and prompted me to contemplate on them… At one point I realized that Miki was watching me, and I smiled, telling her that playing with sand feels like making love to it. For me, the peak experience had been in the swimming pool, with the moon and the stars, but at about eight o'clock in the morning, I was still feeling quite ‘high'. Still, my body was tired, and we decided to eat something and go to sleep. Over breakfast, I said to Miki, “God…! If I could only get a container of this stuff, I'd die happy…!” She laughed. But then she looked at me seriously and said, “Look, if you take another tablet tomorrow, you won't feel anything special because your mind's already accustomed to the sensations. You'd only abuse the drug and your body. Take time to absorb all that's happened last night, and incorporate this new awareness into your life. That's how drugs should be used.” I couldn't agree more. Having witnessed the Rave Culture, I knew too many ecstasy abusers, and I made a promise to myself that when I take ecstasy again, it wouldn't be any time soon. If you are wondering, the second time I took ecstasy was two years later. I had returned home after years of traveling, and was spending a lot of time with my oldest, ‘bestest' friend in the world – Sasha. We were friends from kindergarten, and lived next door to each other. Sasha was studying to be a doctor, like his father, but not because of him. Doctor was something Sasha was meant to be. He is sensitive, compassionate and understanding. He is strong, stable and rational. He's someone you'd want around when going gets tough. Sasha is also fair and impartial, and I very much wanted to share with him what I'd experienced on ecstasy. When I told him about it, he wanted to try it too. This time I was in charge of the ‘initiation'. I explained what I thought was important, “The feeling that overcomes you is a feeling of liberating love, and it's easy to cry. If that happens, let go.” He nodded. I knew Sasha well enough to know music took him to other dimensions, so I selected his favorite CDs, and played them. We were seated opposite each other, in two big comfortable armchairs that had leg support. I saw Sasha's face all lighted up in a big smile, and I felt my own face beaming. Ecstasy was working all right. I knew that the only thing I could do now was let him sink into the experience, and go through my own. Closing my eyes, I felt my whole body vibrating in tune with the music. It was beautiful. I visualized a stream of clear, fresh mountain water running through me, washing away the dirt, and leaving me feel revitalized. Then the music got to me again and carried me into the past. I remembered an old oak tree on the side of the river, just across the street, where Sasha and I had spent so many nights, philosophizing about everything and anything we could think of. The old oak tree was divided in two equally strong branches, and Sasha and I would spend hours sitting on them and talking. A few years ago, a lightning had struck our tree, burning it down into a log. I poignantly contemplated on that, when I realized that tears were running down my cheeks. I opened my eyes and saw Sasha, lovingly looking at me. The tears increased in flow, this time not because of sadness, but love. Looking at Sasha's dear face, I realized how much I loved him and how important he is for me. He slowly moved out of the armchair and went down on the floor, moving on all fours in my direction. Thinking about my tears, I realized that maybe they have upset him, so I told him that I was feeling fine. He nodded, but kept going. When he reached me, he knelt beside and kissed my tears. Then he looked at me with tears in his eyes, and said, “I just wanted to taste your tears…” At that very moment we were both overwhelmed by the intensity of the love we were feeling. This love was so pure that it left no place for awkwardness. There was nothing sexual in it, either, and maybe that is why the experience was so extraordinary.